Unlike other sites who have given it ridiculously high scores, I definitely don’t agree with its high ratings. And certain elements which have been criticized for other games are applauded for in God of War III seem biased, which may be ironic considering we applaud our biases. Those reviewers don’t claim to be biased. The game is chock full of invisible walls, and Game Trailers, a site that has criticized other games for invisible walls, calls it a streamlined experience that directs you in the right direction. I personally never had an issue with invisible walls in games, but this is just ridiculous. The game is absolutely linear, and the game play is pretty intense, but it also gets pretty repetitive. Battles are constant with flames, bodies, and blood flying everywhere, but it gets tedious after a while. Furthermore, the weapons are all fairly similar, so play styles won’t really differ much. Once you get the Nemean Cestus, you won’t really use any other weapon. The controls feel a bit too loose. 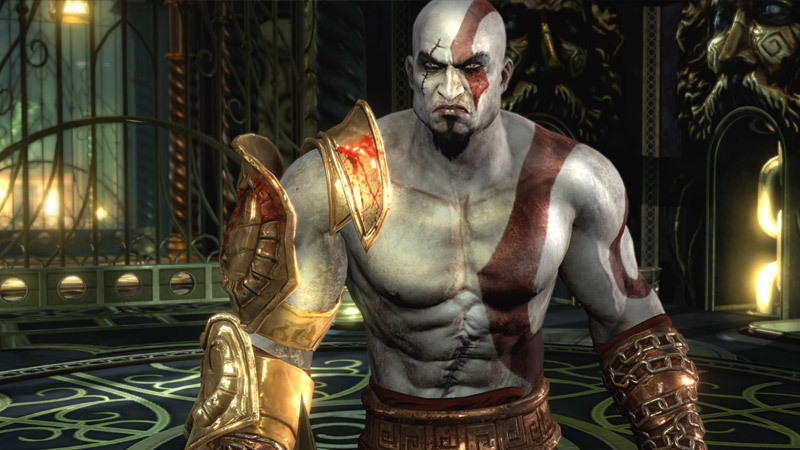 For a character who’s known for his battle prowess, you would think that Kratos would understand how to be able to roll out during his attack or quickly block half way through his swing. 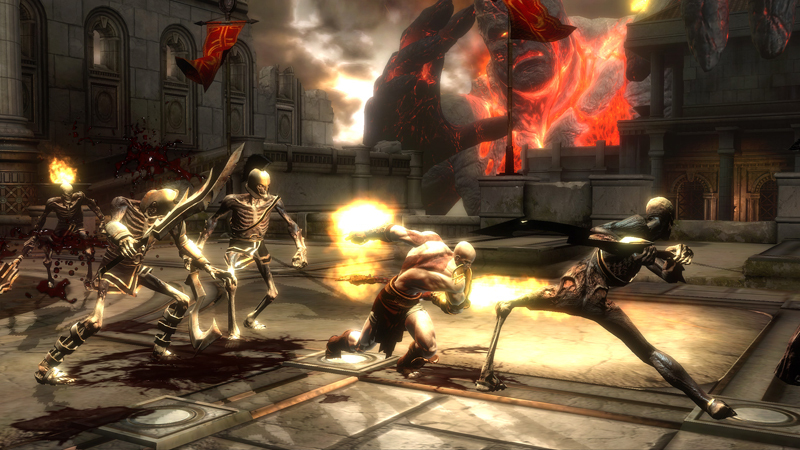 Instead, Kratos has to finish his animations, which lead to a lot of pummeling. I’m used to quick twitch reflexes to move along to the action. Kratos winds up getting beaten mid attacks, or even though you have such long and incredible chains at your disposal, you’re not supposed to make use of them. Kratos’ character and motivation also make no sense. For a man who seems to be hell bent on retribution, the idea of redemption seems a bit out there. I liked the idea that hope always exists, but the execution was poor and choppy. Kratos meets Pandora, origin of the Box used in the first game and main focus of the last game. For half of the game, he’s dismissing her, but when he’s told to save her so he can access Pandora’s Box again, it’s only so he can kill Zeus. Somehow, when he finds Pandora beaten, his voice shows remorse and sadness and even tries to save her. There’s really no reasoning behind this. It’s arguable that he sees his daughter in Pandora, but that seems like a far stretch for his character. He’s more like the Saint of Killers from Preacher. God of War is full of amazing set pieces, but really, it’s putting a lot of style over substance. It’s a good game, not great, and certainly not godly.